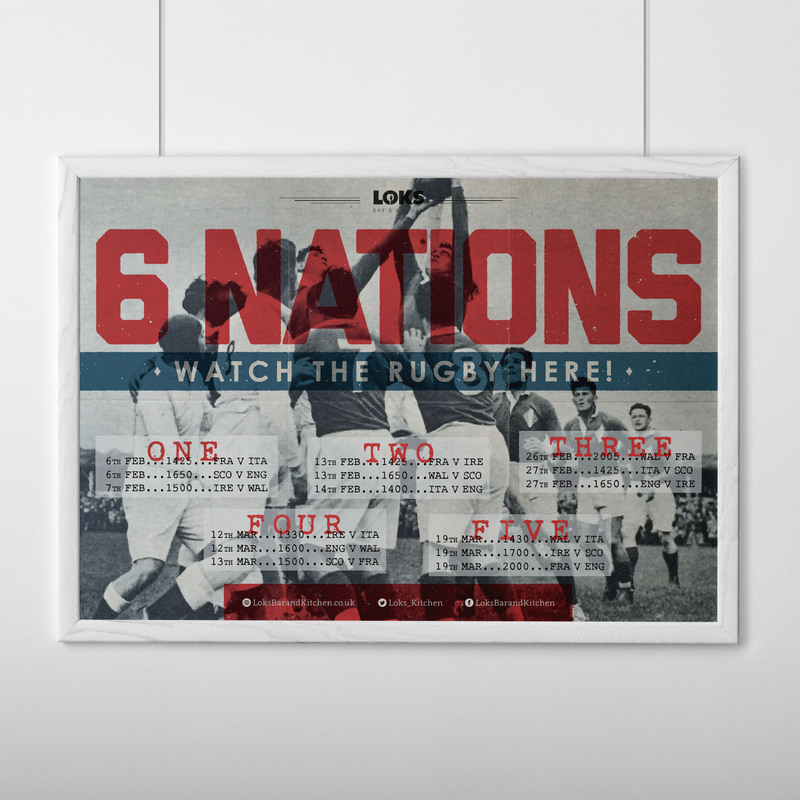 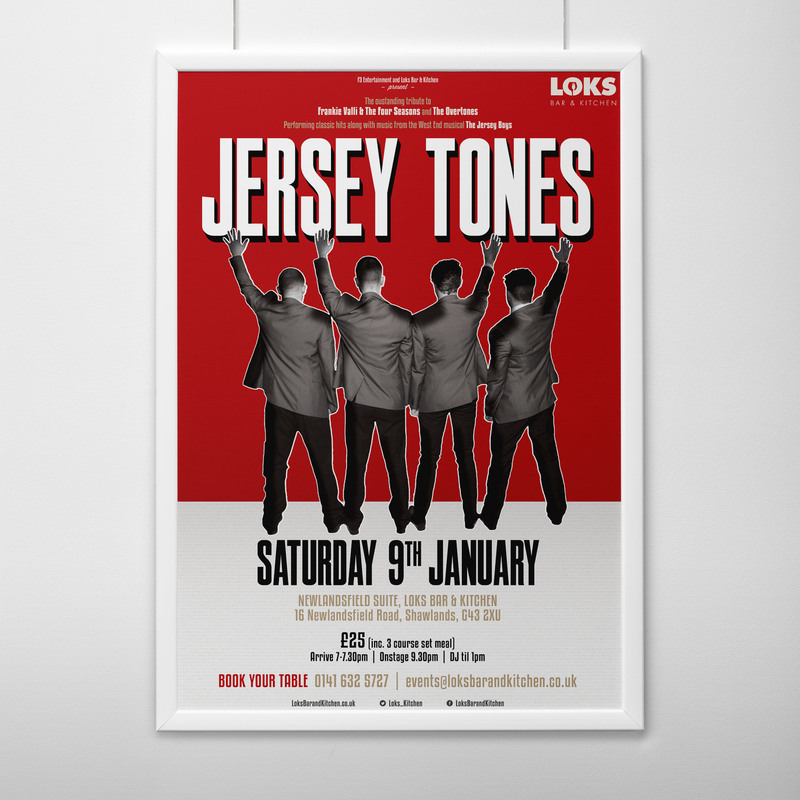 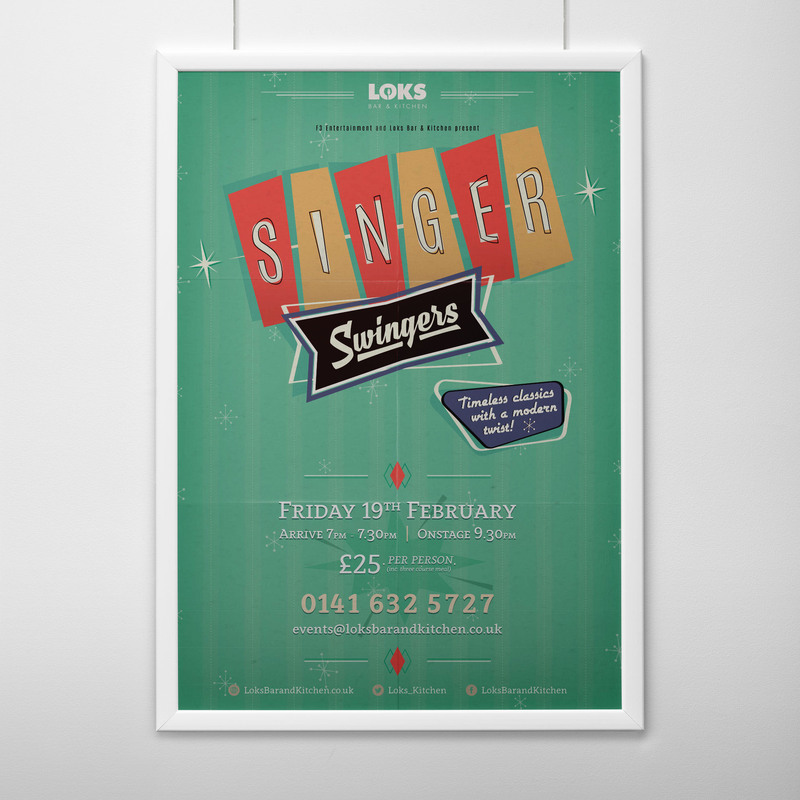 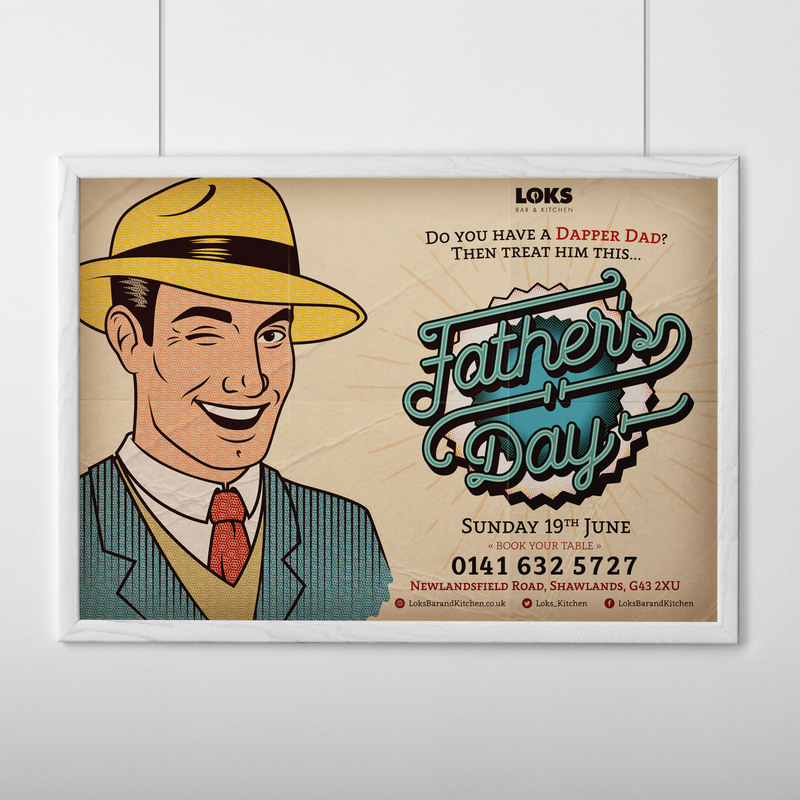 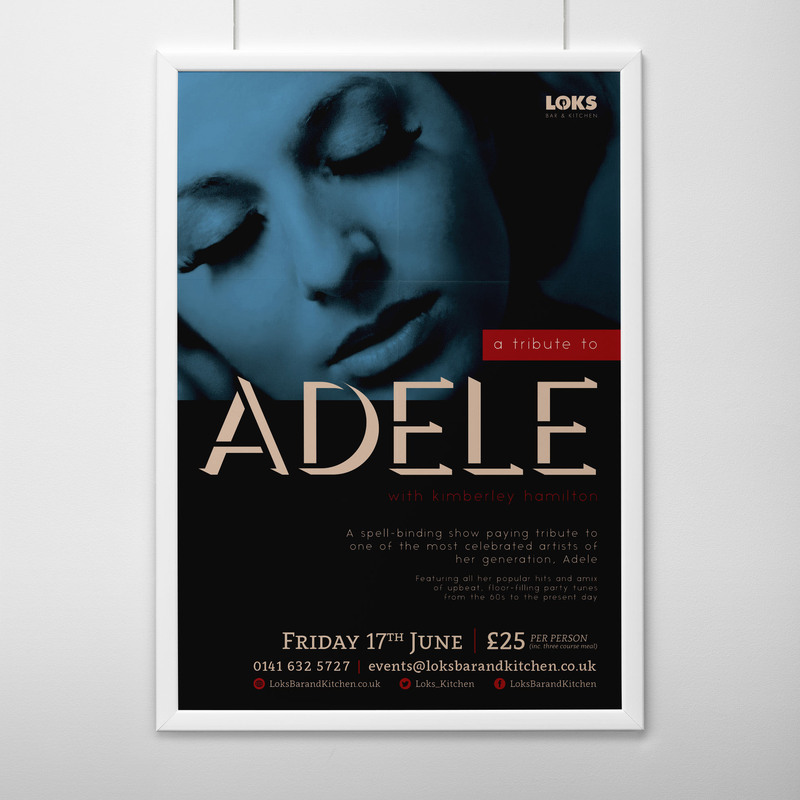 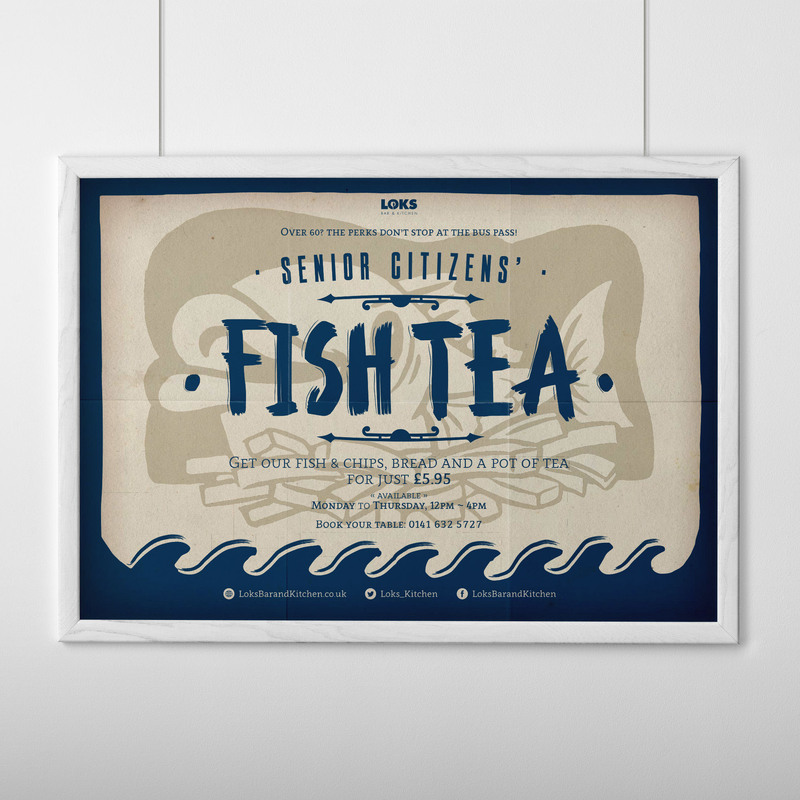 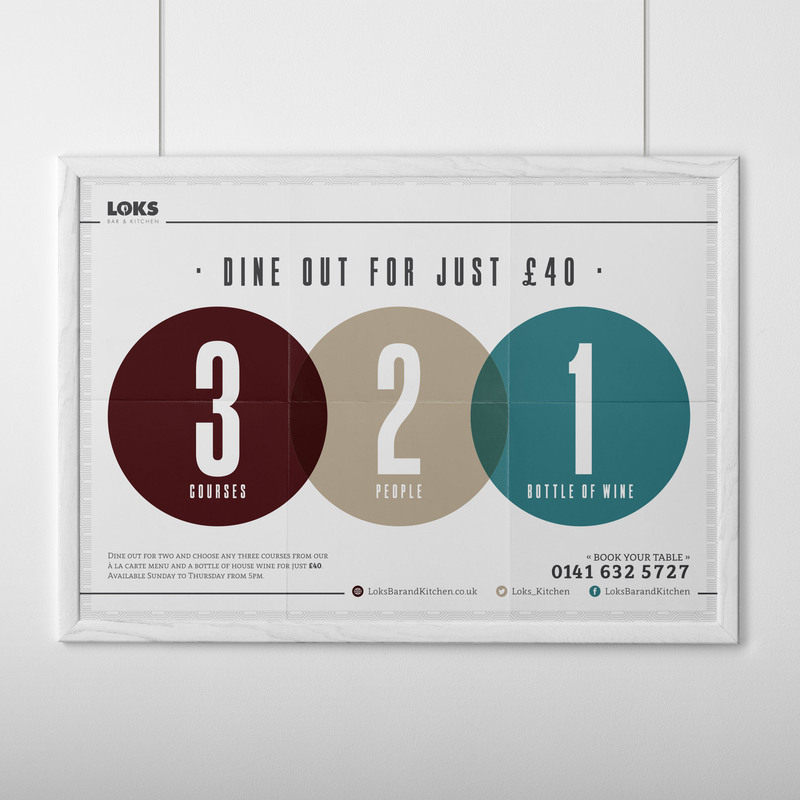 Examples of poster artwork created for restaurant client, Loks Bar & Kitchen. 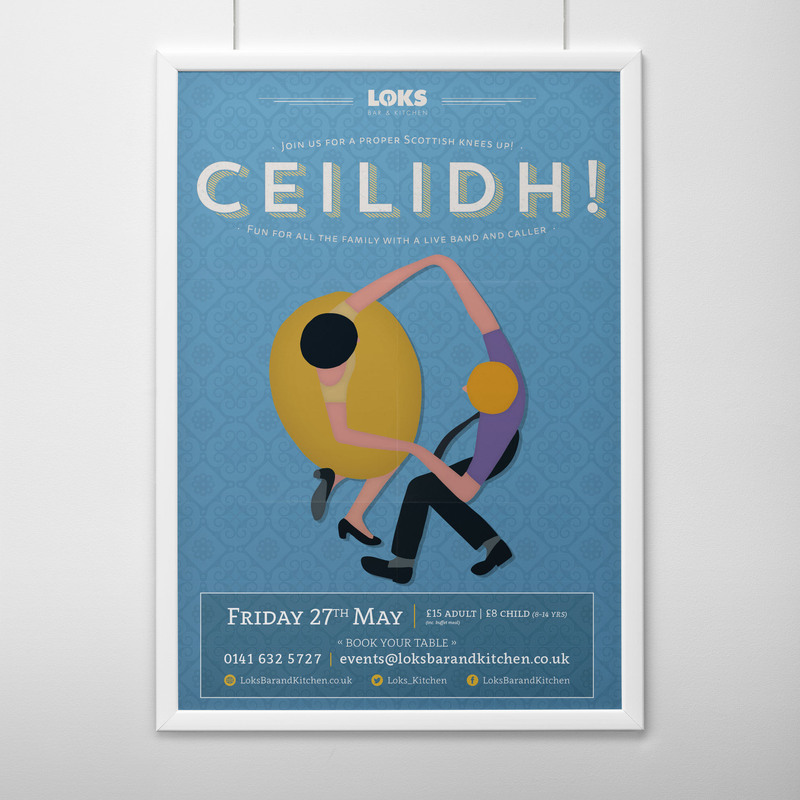 A brasserie-style restaurant in the south of Glasgow, UK, the also boasts a 200-capacity function suite that hosts a variety of events throughout the year. 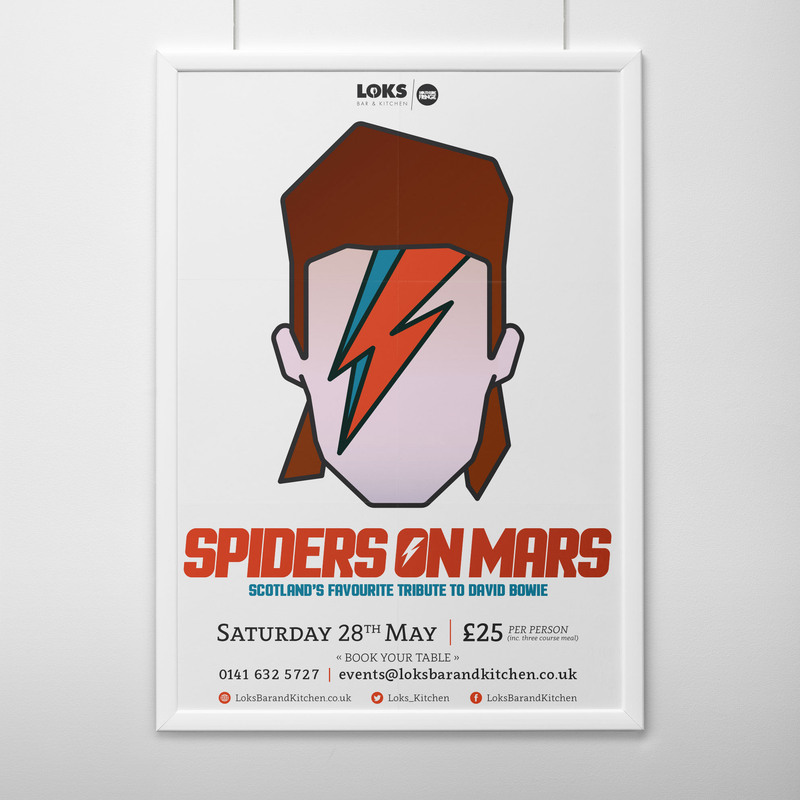 When I was approached by the owners, they had been open for a little under a year and had struggled to create much interest in many of their events, owing in part to a lack of a coherent brand identity and underwhelming event artwork. 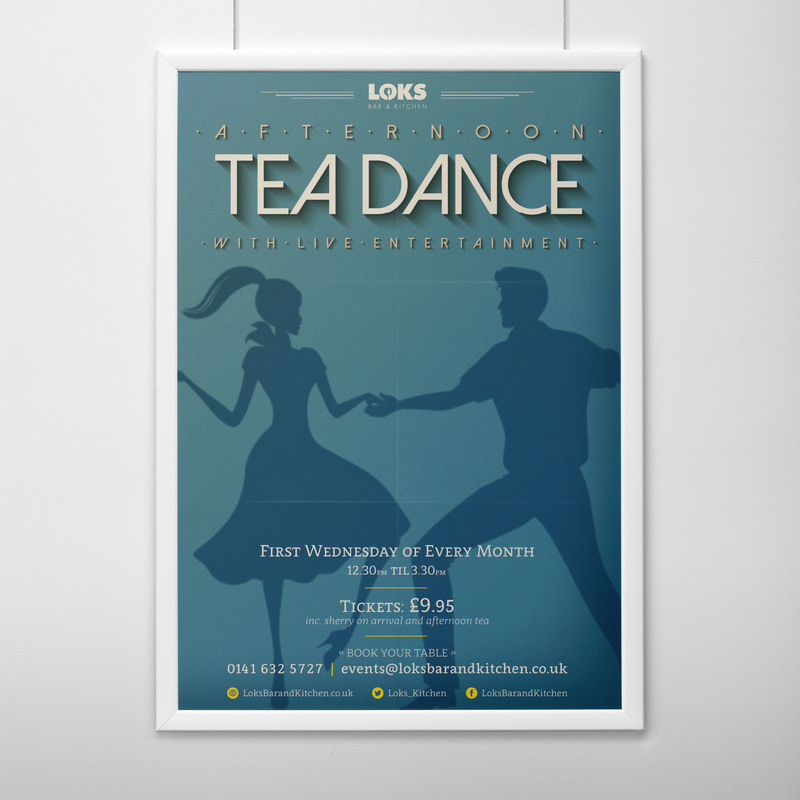 My brief was open ended, but the objective was to develop a house-style and create eye-catching artwork for display in the venue and around the local area.